According to The Guardian, this year 70.3% of Birmingham parents/carers “won” a place for their child at their first place secondary school. That’s a pretty good percentage, although it is apparently down by 3% on last year. 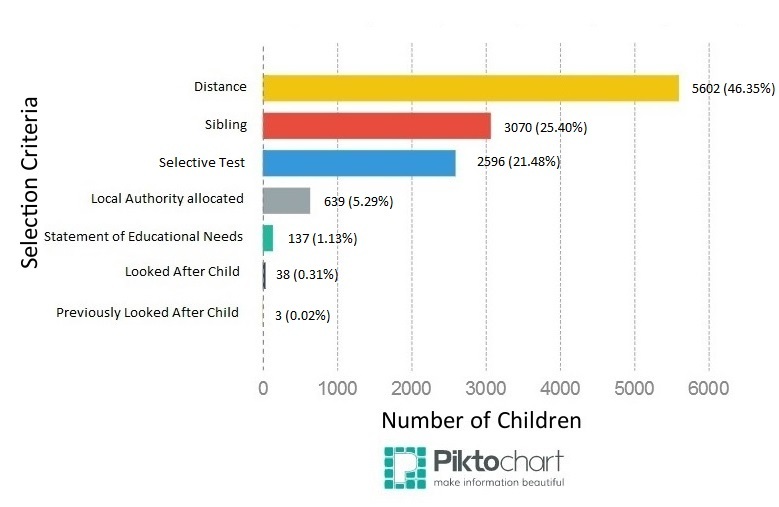 At Data Unlocked we’ve being doing work on school admissions, especially in Birmingham, for a number of years now. Following a recent Freedom of Information request we have been able to break down how children from Birmingham get into Birmingham secondary schools, based on the selection criteria. To clarify: this is children in Birmingham who are offered a place at a Birmingham secondary school. Children from outside Birmingham and Birmingham children who travel to school outside Birmingham, aren’t included in these figures. 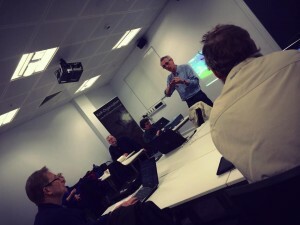 The Saturday before last, myself and Mike from Data Unlocked were at the Open Data Day event at Birmingham City University (BCU) which was run by Andrew MacKenzie and Pauline Roche of Open Mercia. Here we attempted to establish “An Open Data Store in a Day”. The reason for this was because we wanted to experiment with a community run site that published and linked to open data across multiple organisations. I did some preparatory work so that we had an instance of Ckan up and running in time for the start at 10am. By the end of the day we have over 50 resources loaded up to the store. 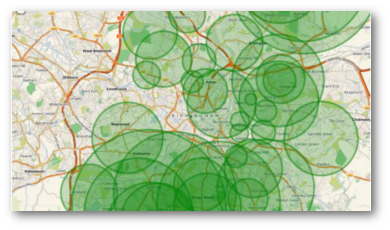 This included such datasets as the last 10 years of grants that the BIG Lottery Fund have made in the West Midlands and the Joint Industry Committee for Regional Media Research’s newspaper circulation figures across the region.